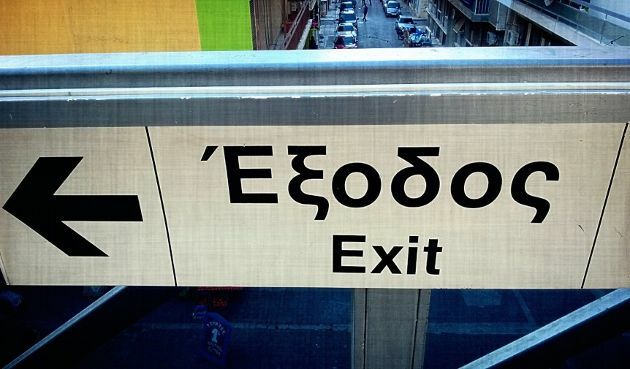 You are at: Home / Agora / Should Greece really ask for a debt haircut? Should Greece really ask for a debt haircut? There are very good reasons for arguing in favour of Greek public debt undergoing a haircut. Unfortunately, there are also some reasons for wondering whether things are not that simple and that a haircut might not be an ideal solution. One good reason for a writedown of Greek public debt is that it has reached terrifying proportions. In the third quarter of 2013 it reached 171.8 percent of GDP. There are countries that have an even higher debt-to-GDP ratio, such as Japan, but none of their economies have the same characteristics as Greece’s: A very small productive base, limited exports and a big, expensive and above all unproductive public sector. If one takes into account these two factors – the size of Greek debt and the way the Greek economy is structured – there can be no other conclusion than that Greece’s public debt is unsustainable. The situation is even worse if we recall (and how could we forget?) that the unemployment rate in Greece reached 28 percent in November last year and youth unemployment rose to 61.4 percent. The picture is even darker when one considers that 3.55 million Greeks have jobs but 4.75 million (unemployed and inactive) are out of work. How can Greek workers manage to support the unemployed and pensioners? How can a state that will spend the equivalent of 42.1 percent of its GDP to cover its primary expenditure plus debt servicing costs? All this remains a mystery. It is equally significant that Greek debt is not sustainable from a political point of view. Four years after Greece’s bankruptcy almost all the Greek parties continue to maintain the preservation of their patron-client network as their top priority. New Democracy and PASOK, which have been forced to implement the fiscal consolidation program in the last few years, are threatened by extinction chiefly because they thought they could serve two masters: The EU-IMF memorandum and their vested interests. Naturally, they were unable to do this, resulting in the fiscal adjustment being achieved without the weaknesses that led us to bankruptcy being overcome. This means that the results are only temporary. The local and European Parliament elections are likely to show that even the second master is not satisfied, leading to a further destabilisation of a government that has a parliamentary majority of just three. Why, then, should the debt of Greece, a country that is economically and politically bankrupt, not be cut? Because the vast majority of our debt is held by our eurozone partners. At the end of this year, Greece will have a total debt of 320.1 billion euros, 235.7 billion of which will be owed to eurozone member states and the International Monetary Fund. The euro area seems determined, yet again, to restructure part of Greece’s loans with the aim of annual debt servicing costs being reduced to between 3 and 4 percent of GDP in the coming years. The debt pile will continue to be huge but at least we will be able to meet our annual repayments. Of course, with such a high public debt Greece will continue to sit on the razor’s edge for the next few years. It will be vulnerable to any sudden changes in the mood of investors. If this means that the Greek state will not be able to borrow so easily, maybe that will not be such a bad thing when one considers how it “invested” the money it borrowed in previous years. Unfortunately, local companies will experience higher borrowing costs due to the lack of trust in the Greek state. The key question is how we will we stand before our partners, some of whom are poorer than us, and demand that they write off some of the money they have lent us? It would be unethical and politically damaging to pursue a Greek debt haircut. The moment for this strategy was in 2010, before debt was moved from private hands onto the shoulders of euro area taxpayers. We missed that chance because we did not have any allies who would support the idea of private creditors taking a hit and because the German and French government were not willing to take on a second rescue of their banks after the support they provided in 2008. The decision to transfer Greek debt from the private to the public sector was unethical but that is what eurozone leaders chose to do. It was not our decision, it was imposed on us. So, rather than plead for a haircut the best we can do is to ask for more European Union funding so we can modernise our infrastructure and improve the function of the Greek state in the hope that this will allow citizens to receive better services at a lower costs. It would be even more useful for the sustainability of Greek debt if we focus on the fundamental problems of Greek society, most significantly the troubled justice system. We also need to improve education and our tax and pension systems, while confronting extremism, dogmatism (let’s not forget that Golden Dawn is third in the opinion polls), corruption and patron-client practices. I had vehemently argued against the first haircut and I now argue against the second one. Reason: whatever is left of Greece’s creditworthiness in the eyes of financial markets, it’s not going to get better if there is, once more, a precedent that Greece does not pay all of its debt. At the same time, it is unrealistic to think that Greece can ever honor all the debt which it presently has. What is a solution? The solution is so simple and it has so often been practiced in sovereign debt problems that it is difficult to understand why it hasn’t been applied in the EU from the start. Let’s assume that Greece could handle the Maastricht-level of debt (60% of GDP). If Greece presently owes 320 BEUR, and if 60% of GDP is 120 BEUR (60%), then those 120 BEUR would continue as regular Greek debt which must be serviced. The remainder, 200 BEUR, just gets converted into a 30 or 50 year bond at a token interest (say 0,1%). Any more interest which the lenders want gets capitalized to be paid at the maturity of the bonds. There are also instruments like 99-year bonds (Mexico) or even Evergreen Bonds. What’s the difference between the above and a haircut? The lenders maintain their legal claim, whatever that is worth but it is worth something because they can argue that they have not forgiven Greece any debt. The enormous difference for Greece is that it has no debt service on those 200 BEUR until bond maturity (except for the token interest).